Looking back, this seems like the signs have been there for a while. When Cam Newton began taking Wednesdays off from throwing during practice after Week 7, it seemed as a return to ‘the new normal’ of the 2017 season when Newton was recovering from shoulder surgery wasn’t a big deal – after all, Newton will be one of the first to tell you that every NFL player is going to get dinged up, even a quarterback that has played 121 out of a possible 124 in their careers. When Newton pulled himself out of the Week 8 victory over the Baltimore Ravens just before halftime because he didn’t want to strain his shoulder on a Hail Mary, we let it pass with minimal fanfare – after all, the quarterback was only a week removed from throwing 22 passes in the fourth quarter of a comeback win over the Eagles; not to mention the Panthers won the game handily. When Cam only rushed four times in two weeks in consecutive losses, we wrote it off as game script; when he threw interceptions in four consecutive games, culminating in his career-worst four interceptions on Sunday as the Panthers lost their fourth straight; when Cam’s throws to the sidelines didn’t have the same zip; when his Hail Mary attempt on Sunday didn’t get to the end zone and Taylor Heinicke came on in relief – we should have been paying attention. Because something is wrong with Cam Newton’s shoulder – the same shoulder that required surgery to fix in 2016 after he played the final three games of the season with a partially-torn rotator cuff. And while Cam will continue to answer that he’s alright – as he did after the game on Sunday, or insist that he feels great as he did Wednesday after another practice in which he was limited and didn’t throw – when he was asked if he would need another shoulder surgery, he was much less emphatic than when he insisted that he would be ready to play this week against Cleveland. 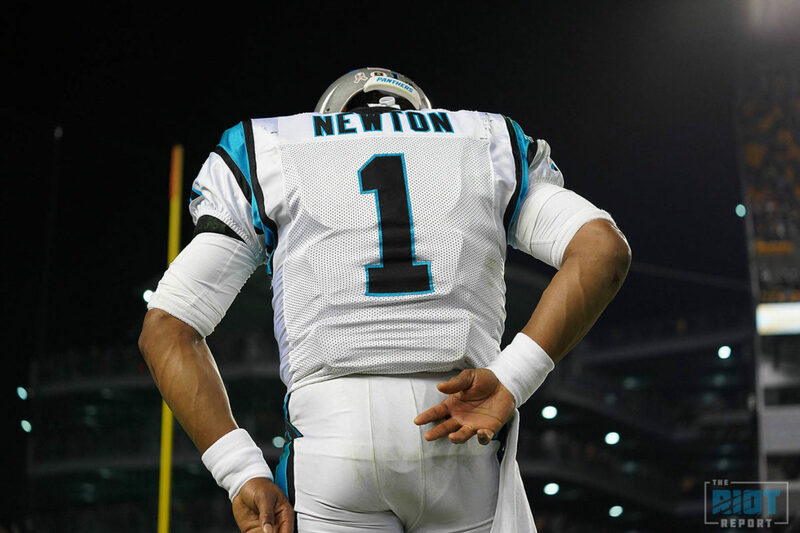 While Ron Rivera usually states that the soreness of Newton’s shoulder stems from repeated use or multiple passing attempts, Newton indicated that the shoulder issues have stemmed from his offseason surgery ahead of the 2017 season that kept him from throwing for most of training camp and created the “new normal” of not throwing on Wednesday – but like most NFL players, pain is yet another situation to be managed. Being hurt is not the same as being injured. 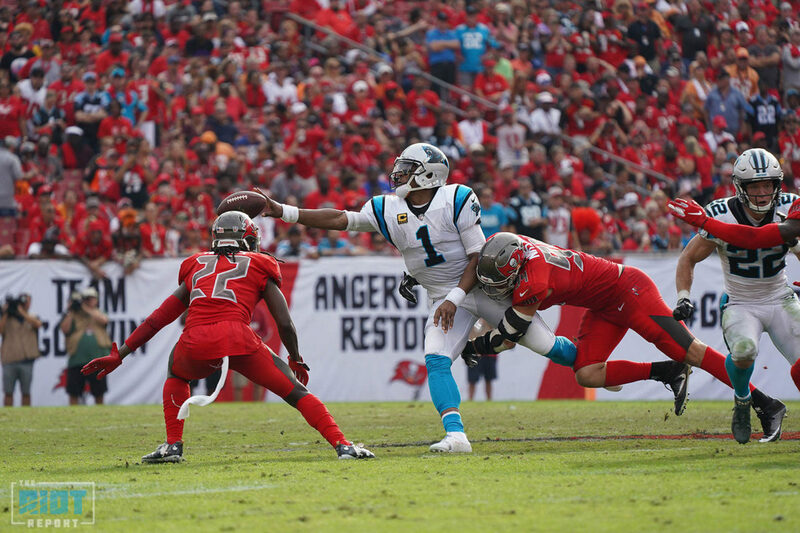 While it appears that Newton will play through whatever injury he has; the Panthers’ franchise QB certainly has played through pain before – heck, he only missed one game after flipping his truck in December of 2014 – his coach says that communication will be of the utmost importance for the rest of the season to ensure that everyone, from Newton to offensive coordinator Norv Turner to Rivera himself, are on the same page in terms of what the Panthers can do from an offensive standpoint. That includes throwing Hail Marys at the end of halves or at the end of games. 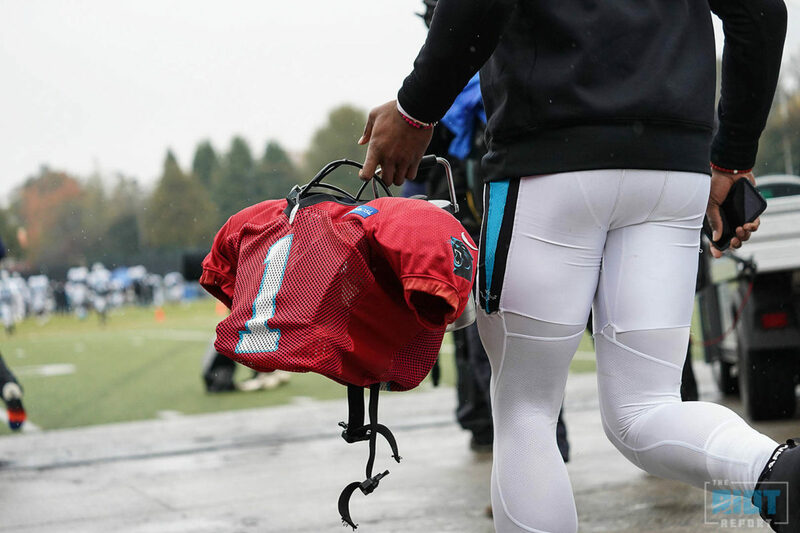 They’ll wait and see how Newton’s shoulder heals before making any decisions, with Rivera not even willing to concretely say that Newton would be able to play on Sunday – “We’ll see. Again, we’re not even at Friday yet.” – the prospect of sitting the team’s franchise quarterback certainly seems to be something the coaching staff is at least considering. Although, that seems like more of a consideration for a team that may be eliminated from playoff contention, not a team that’s one game behind the final wild card slot in the NFC. What does waiting and seeing mean exactly? TRANSLATION: As the team gets to a situation where they’re mathematically eliminated from the playoffs, they’ll make decisions about whether to sit Newton – for now, a Cam Newton that’s not throwing Hail Marys is likely still the best option the team has if they want to cling to their playoff hopes.  Even after his ‘reckless’ game, the Panthers remain in the hunt for a wild card spot – but they’ll quickly fall out of that hunt with a loss on Sunday.